What causes a Blood Moon, when the moon turns red during a total lunar eclipse? Last evening, Bonaire’s skies were unusually clear, offering a fantastic view of the total lunar eclipse, culminating with the Blood Moon. During total lunar eclipses, the moon can turn shades of red and orange, giving these full moons the term, Blood Moons. The Earth casts its shadow on the Moon during an eclipse. Since the moon doesn’t have any light of its own, its surface instead reflects sunlight. However, during a total lunar eclipse, the Earth moves between the Moon and Sun, and thus the moon’s normal reflected light is curtailed. However, because of the color of the shadow that Earth casts, the moon, instead of going dark, actually takes on a reddish glow–the so-called Blood Moon. Why does the Earth cast a red shadow? Using the same mechanism which is responsible for colorful sunrises or sunsets, the Moon takes on a reddish cast due to a phenomenon called Rayleigh scattering. As every diver knows, visible white light, such as sunlight, is actually made up of the colors of the spectrum. Colors toward the warm end of the color spectrum, such as reds and oranges, have longer wavelengths and lower frequencies than those towards the cooler part of the spectrum (blues or violets). This scattering of the color spectrum is also responsible for the optical illusion we see here on Bonaire called the Green Flash. But just like in the optical phenomenon of a green flash, the Earth’s own atmosphere also plays a part in the Blood Moons. Because our planet’s atmosphere is made up of different gases, water droplets, and dust particles, the sunlight is scattered into smaller wavelengths when it hits Earth’s atmosphere. These smaller wavelengths get scattered in various directions. The colors on the cool side of the color spectrum–violets and blues–are scattered more strongly, and thus they are filtered from the sunlight before it hits the surface of the Moon during a lunar eclipse. Those with longer wavelengths, such as the warmer colors of reds and oranges, pass through the atmosphere. This red-orange light is then refracted–bent–around Earth, and spills onto the surface of the moon, giving it the reddish-orange glow of the Blood Moon. Facts and figures of last night’s Blood Moon. The magnitude of the eclipse was 1.195. The penumbral magnitude of the eclipse was 2.168. The total duration of the eclipse was 5 hours, 12 minutes. The total duration of the partial phases was 2 hours, 15 minutes. The duration of the full eclipse was 1 hour, 2 minutes. 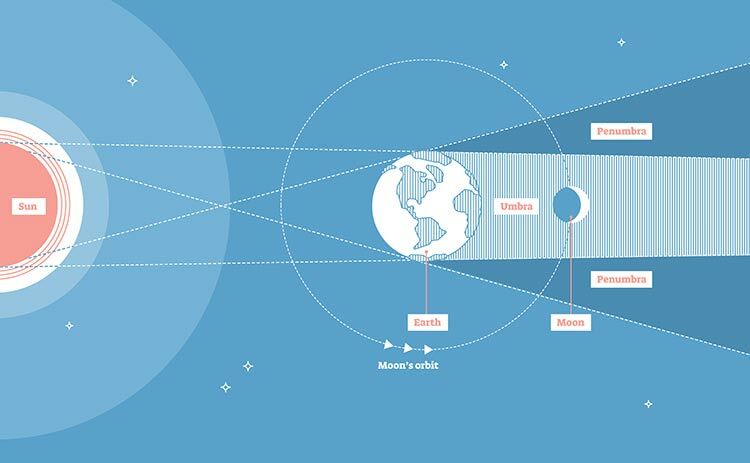 “Magnitude” of the various components of an eclipse is calculated using a five-point scale—ranging from 0 to 4—called the Danjon Scale. 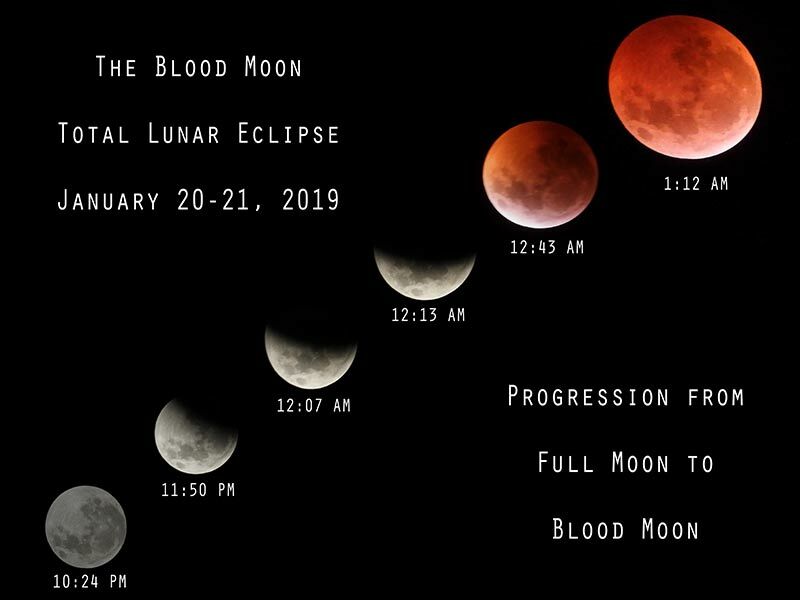 A lunar eclipse is ranked and assigned a value on the scale at the time of mid-totality and this magnitude gives an indication of the brightness and color of the Blood Moon. 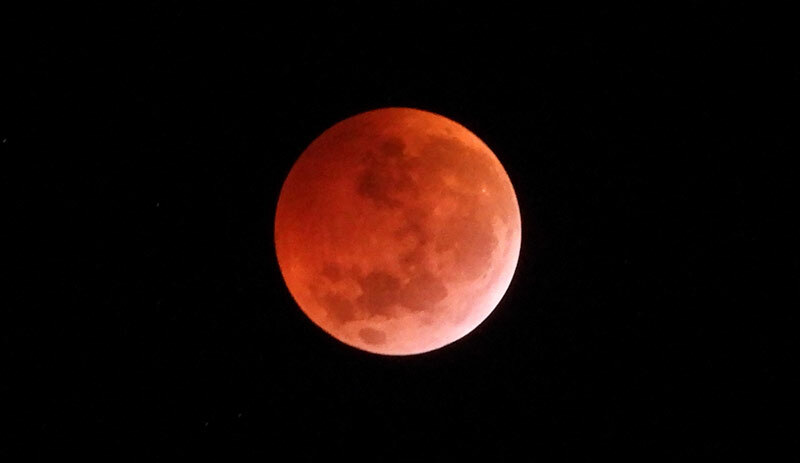 When can I see the next Blood Moon on Bonaire? In case you missed Mother Nature’s fantastic display of the Blood Moon last night, don’t worry. Eclipses come along regularly, normally twice a year. However, not all can be viewed from Bonaire’s clear skies, so mark your calendar for May 15 and 16, 2022, which is when Bonaire will next see a Blood Moon!